When Hillary Clinton was secretary of state, her approval ratings hit an all-time high. Republican luminaries Jeb Bush, Lindsey Graham, Marco Rubio, Rick Perry, John McCain – the list goes on – all sang her praises. Then she ran for president. The applause stopped, and the Republican opposition searched for a scandal, real or made-up, to pin on her. They landed on the terrorist attacks that cost the lives of an ambassador and three other Americans in Benghazi, Libya. Clinton was to be blamed for the tragedy of Sept. 11, 2012. As Democrats have noted, the Republican-run probes into the Benghazi fiasco have gone on longer than did the inquiries into the Sept. 11, 2001, assault, the bombing of Pearl Harbor, the assassination of John F. Kennedy. But they’re meant to go on. That’s the whole point of them. The House Republicans’ “final” report on Benghazi contains no new dope on Clinton, but the authors don’t need “new.” They’re looking for repetition. Spread the innuendo often and thick enough and a good chunk of the public will believe it. The latest report has about 800 pages of almost nothing not already reported. That did not preclude two Republican reps, Jim Jordan of Ohio and Mike Pompeo of Kansas, from writing a 48-page addendum taking extra swipes at the Obama administration. The report failed to counter the most salient fact in Clinton’s defense. The U.S. military in Europe could not have reached Benghazi in time to save the Americans. Was there adequate security at the American compound in Benghazi? Obviously not. That was the conclusion of an independent report led by retired diplomat Thomas Pickering and Adm. Michael Mullen. Though highly critical of the State Department’s security arrangements, they laid blame on lower-level officials rather than on Clinton. That wasn’t what the partisans wanted. Not at all. American diplomats operate in the more unstable corners of the earth. That’s their job. The brave men and women who take on these dangerous assignments accept the risks. They are a lot like soldiers, except they generally don’t get to sleep in defended military bases. Hillary Clinton is not a Teflon politician. Things stick to her. But what Clinton lacks in Teflon, she has in cast iron. Last October, her Benghazi tormentors subjected her to eight hours of televised hearings. This followed seven previous investigations. Point is, Clinton never cracked. 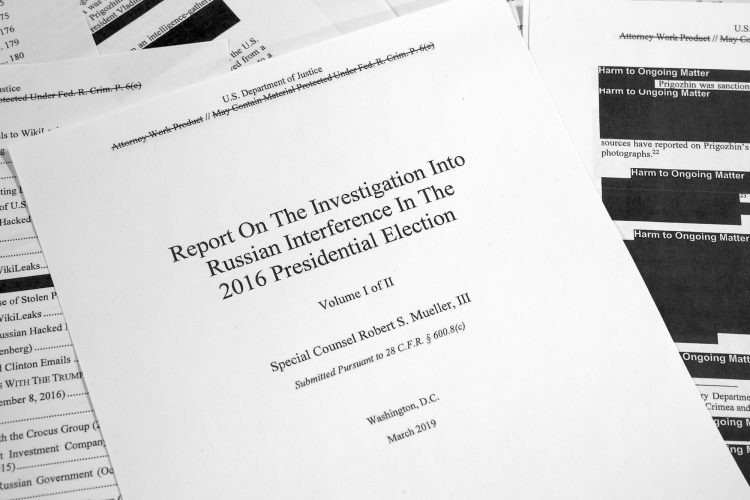 The latest report may have taken a bite out of the U.S. paper supply, but one doubts it will put another dent in Clinton. Will House Republicans ever stop flogging their conspiracy theories about Clinton and Benghazi? They most definitely will, and we know the date. It will be Nov. 9, the day after the election.